Record your lifetime of trips! Travel Memories is the perfect way to make lasting memories of your travels. 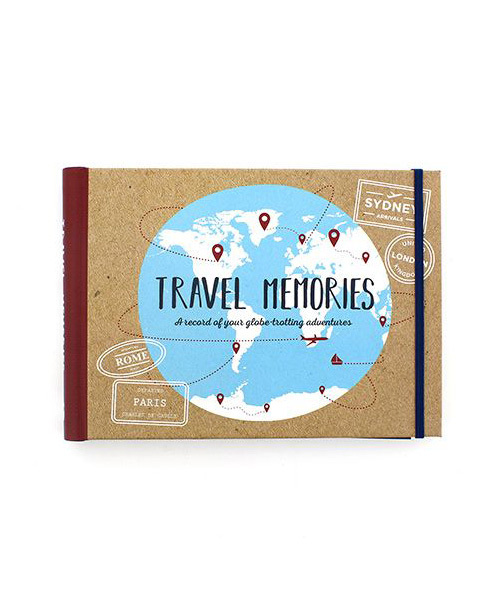 From package holidays to gap years to globe-trotting trips of a lifetime, this flexible keepsake album is primed for personalisation with fill-in text, photographs and special souvenirs. Concealed wiro hardback with tabbed dividers, 10 photo cards and a keepsake pocket, 96pp.